'Love Your Enemies' ... And Maaaybe You'll Get Them To Agree With You Arthur Brooks says that even if you're sure someone's lying, calling that person a liar won't help your case. His book describes "how decent people can save America from the culture of contempt." 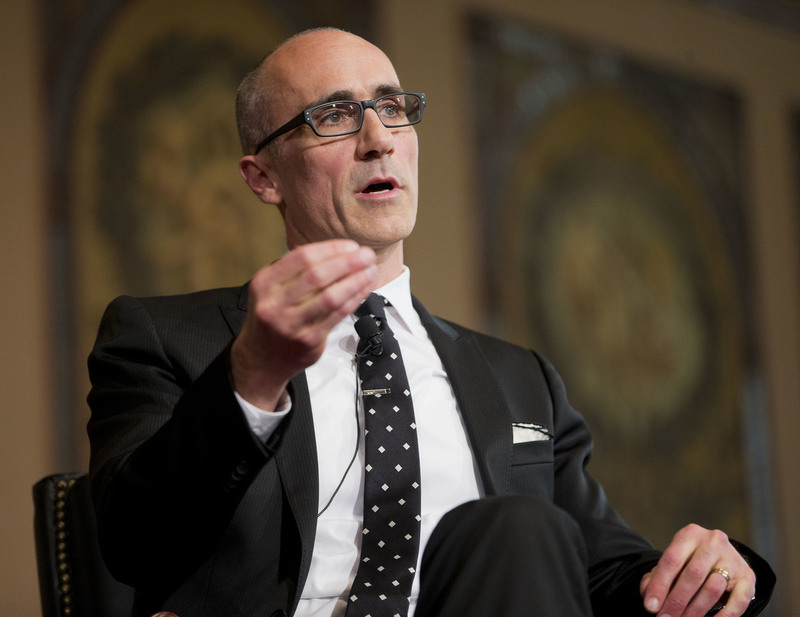 Arthur Brooks, seen speaking at Georgetown University in 2015, has a new book called Love Your Enemies: How Decent People Can Save America from the Culture of Contempt. Social scientist Arthur Brooks says you should really think twice before calling someone a liar. "When you're talking to somebody else, you're not positioned to say that that person is a pathological liar," he says. "What you know, or what you believe, is that person is saying something is untrue — and that's what you should take on." 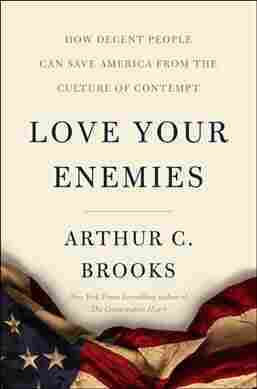 Brooks' new book is called Love Your Enemies: How Decent People Can Save America from the Culture of Contempt. It aims to guide people on different sides of the political divide to have constructive conversations. "If you actually want to persuade somebody else, attacking that other person will drive that person farther in the other direction and it will alienate the people who are listening to your interchange," Brooks says. " ... To condemn the person is suboptimal because you will never persuade somebody else that what you're doing is anything more than a character assassination." Brooks, the president of the American Enterprise Institute, talks about how he thinks we can disagree better, and why he believes "getting along" is a "garbage standard." When we're assassinating character, we say that the other person is immoral as opposed to: I disagree with what that person said. There's a wonderful body of literature these days led by Jonathan Haidt who teaches at New York University about "moral foundations." What he finds is that everybody in society basically shares two moral foundations: We all care about compassion, and we all care about fairness. We don't define those things in the same way, but we care about those things. It gets more complicated when you look ideologically at the fact that conservatives and liberals ... tend to have a couple of different moral foundations beyond that. So what I argue in my book is: If you actually want to bring people together — and you want to persuade somebody that they should listen to your point of view — stay on arguments about compassion and fairness such that you can share the moral foundations that we all have in common. It is a moral argument, but what you have to understand is that the person with whom you're arguing has a point of view — and might share some of your moral foundations — but they express them in a different way. One of the things that I recommend, particularly when families are being torn apart, is to listen deeply to the moral core of what your interlocutor is saying, and say: I'm worried that your policy that you're trying to get is not getting at your own objective — and maybe I have a different way to do it. If you do that — if you respect the moral core of somebody else's argument without attacking that person as immoral — you're much more likely to have a rich conversation and not rip your relationships apart. On whether he expects everyone in this vast, diverse country to just "get along"
If I said ... "My wife, Ester and I, we're civil to each other." You'd say, "Man, you need counseling." Or, if I said, "My employees, they tolerate me," You'd say: "That's a bad scene." And if I said, "We need to agree," you should reject that, too, because the competition of ideas is also known as disagreement. Disagreement in a democracy is the source of our strength. If it's performed with respect and warmheartedness — even with love — that's how we avoid stagnation and mediocrity. I'm all about disagreement, but it has to be done in the climate of respect, warm heartedness and love. Amara Omeokwe and Jessica Smith produced and edited this interview for broadcast. Beth Novey and Meghan Sullivan adapted it for the Web.